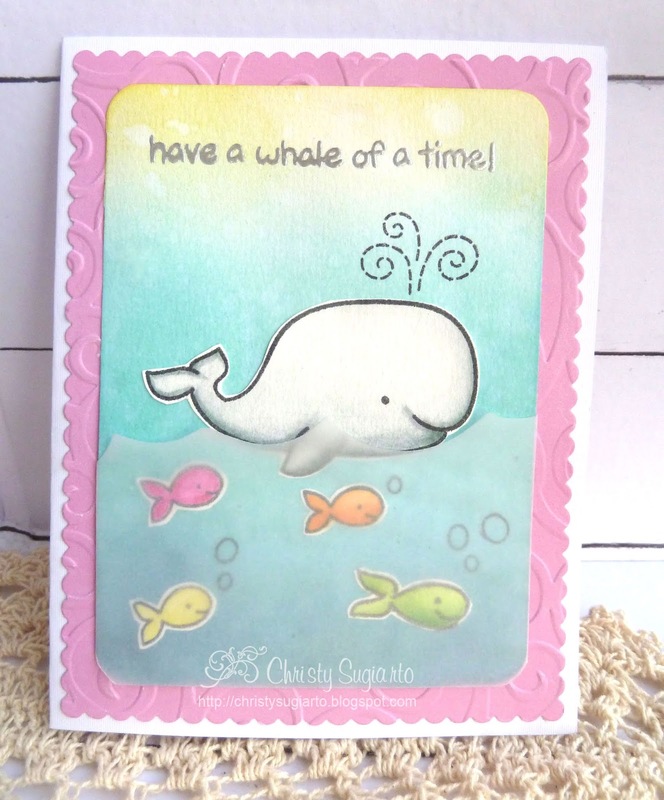 using Lawn Fawn Critter in the sea stamp set again ! colored in the images with Kuretake ZIG. Fussy cut them all after coloring. the sentiment with silver embossing powder. then splash some water on it with my brush. 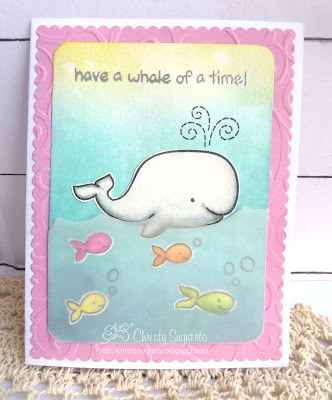 Dry embossing on pink cardstock using cuttlebug d'vine swirl. Your visit is always very much appreciated.